We supply top quality cosmetics / make ups / mascara / lipsticks / lip sticks /lip Gloss. lip Balm /Perfumes / Frangrance/ nail care / FAKE LASHES for sale. We supply bulk cosmetics product for average prices. we sell to all countries world wide. 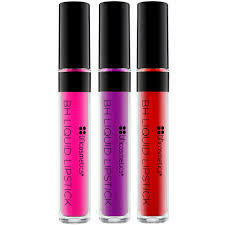 Having a pre-determined quality administration system, we are thoroughly involved in delivering Lipstick Liquid. Specification]1. Condition HOT Wholesale 100% New High Quality2. Brand: ROMANTIC BEAR3.